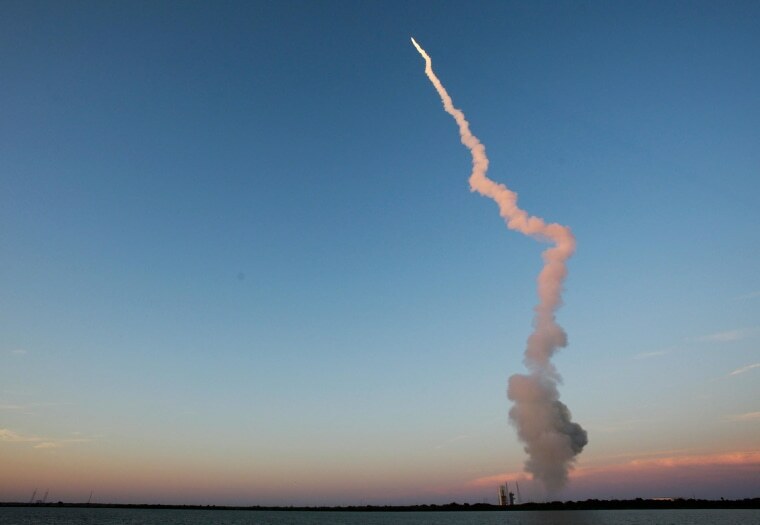 CAPE CANAVERAL, Fla. — A Delta 4 rocket lifted off from Florida on Friday, sending a GPS satellite into orbit. The United Launch Alliance rocket placed a navigation satellite into the Global Positioning System constellation for the Air Force. This is the sixth such satellite deployed by the Air Force. The GPS 2F satellites provide enhanced military signals that have greater accuracy and are more resistant to signal jamming. They also have some civilian applications and a longer life expectancy than the previous generation of satellites. About three hours after launch from Cape Canaveral Air Force Station, the rocket delivered the satellite directly to the GPS constellation, which is orbiting at an altitude of 12,713 statute miles (20,459 kilometers).